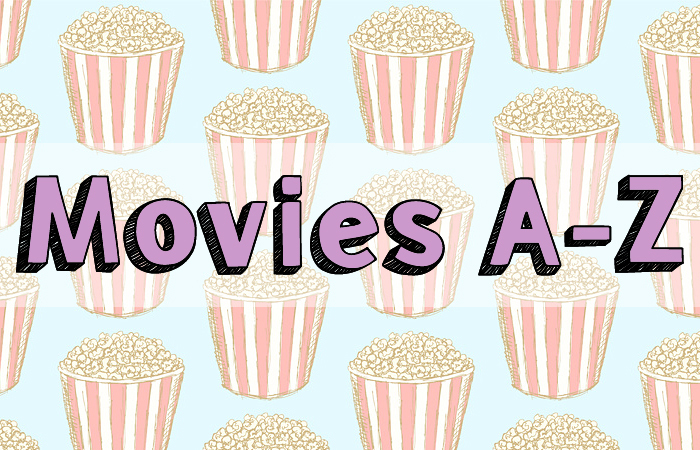 So I read a A-Z favorite movies over at Tania! And I loved the idea so of course being the nerdy me who loves list posts I had to join in. It ain't stealing if you leave credit, right? The movies listed below may or may not be my absolute favorite (but one of many) under that letter because I am horrible at picking out a favorite. I have too much love in my body I guess. I really loved making this kind of list! And I managed to find a movie I've enjoyed watching for all the letters...Well I'm Swedish meaning I got Å,Ä & Ö in the alphabet...But this is an English blog so I am not a cheater! So happy you enjoyed it! :) It's a lot of fun filling out, go for it :D !! I love this idea! I think I'm going to do it too. I'll link back to both you and Tania, of course. c: Thanks for sharing. You have a lot of great ones here. I love Deadpool, Gone Girl, Harry Potter, Jurassic Park, Mad Max: Fury Road, Suicide Squad, Twilight, Underworld, and X-Men. Great Ideas. I might have to try this.